With the release of my latest book Treasure, I think back on the inspiration for this story. There was the little girl in Seattle who left food for a neighborhood crow and in return the crow left her tiny gifts. But the true inspiration began long ago with a small broken crystal, a tiny tear of glass that held so many rainbows. It was a thing of beauty, a small piece of magic that I squirreled away like buried treasure. It broke off of a chandelier that hung over the fancy dining room table where we only ate Thanksgiving and birthday dinners. 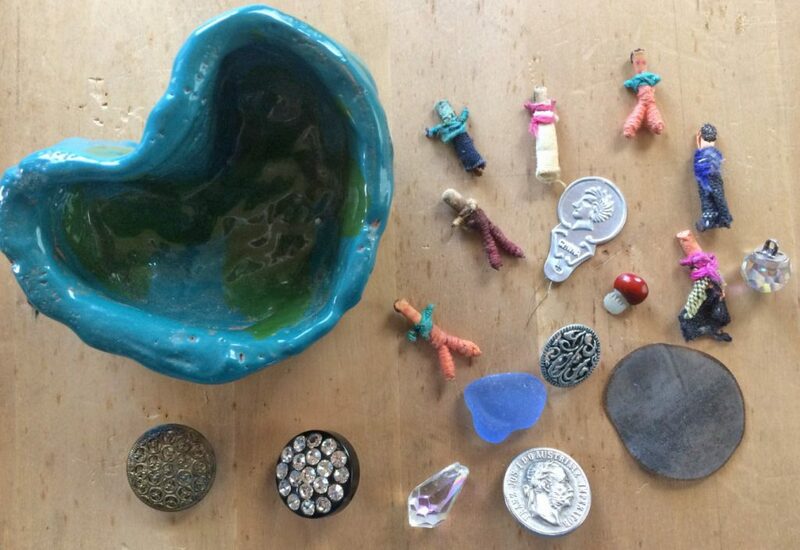 I keep that crystal and other treasures on the windowsill over the sink in a lumpy pottery bowl made with love by my son. I’ve never owned a dishwasher, but often pined for one as I washed the dishes. Gazing out the kitchen window, the suds caressing my hands, slowly the hot water transported me to another time and place. While hands do the work, the mind is free to play. Looking at the crystal, I hear my mother say, don’t fiddle with the chandelier, and please put the dishes in the dishwasher. From inside the bowl are the the weary voices of Guatemalan dolls that keep your troubles. A piece of blue glass worn smooth by the sea calls me back to the waves, back to the place where we play in the water. Why do we keep these things? They are reminders of how and where we got them, they are time travelers to embody a time and a place, and keep the memories for us. Here are some of the items I found as trinkets for treasure, but they didn’t make it into the book. Button tins and sewing drawers are great sources of treasure as well as jewelry boxes. Do you recognize any of these items? 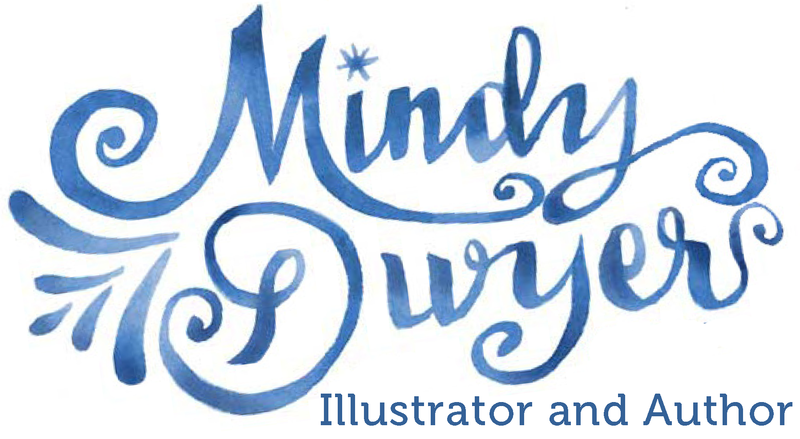 This entry was posted in blog and tagged memories, mindydwyer, new book release, Treasure, trinkets. Bookmark the permalink.